Faced with these two manufactured choices, the globalists expect you to resist the “evil West” and embrace the “benevolent East,” thus embracing the New World Order they’ve been planning all along. So in this entry, I will inoculate you against their fairy tale programming by showing you what they’re doing in the economic, political and religious realms to build their REAL New World Order. I’ll also show you their ultimate goal, which goes far beyond the NWO. 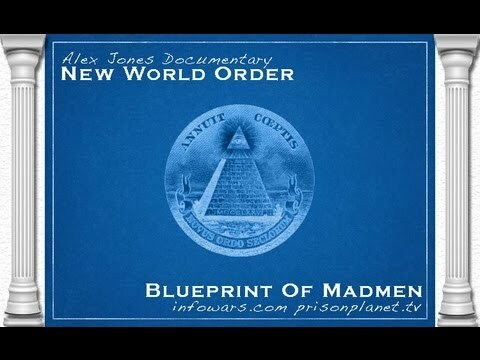 To understand what the globalists are doing now to get the New World Order in place, read NWO Schedule of Implementation 2017. To see the East versus West conflict as the sham it is, read Understanding the NWO Strategy and Mainstream globalist propaganda reveals East/West conflict is a farce. To understand the religious aspect of the globalist plan (and Vladimir Putin’s upcoming role as “savior” and head of the NWO), read “End Times” Programming. This entry was posted in NWO on October 31, 2017 by kenneth. I would open myself up to influence and legal risk from the Money Power. This blog must therefore always remain something done purely in service to others, with no money or notoriety accruing to me. That’s why I don’t even put my full name on it. If I did, I might grow interested in “building a name for myself” and start avoiding subjects that would bring that name under criticism or disfavor. I’ll write more about this when it’s time to start the second blog. This entry was posted in Website Notices on October 30, 2017 by kenneth. …from AARL.org. Since a strong coronal mass ejection (CME) has many of the same effects as an electromagnetic pulse (EMP) or an all-out hack attack, a CME exercise is good cover for an EMP/hack attack exercise. And given that this exercise immediately precedes a date that could set such attacks in motion, there is little doubt about what it really is. As you probably know, Trump will be visiting South Korea on November 7, and 3 US aircraft carriers will be off the coast as he does so. Should he go to the demilitarized zone between North and South Korea during the visit, an assassination there would get the war ball rolling. And that would lead to a “North Korean” (actually globalist) EMP and/or hack attack on the power grids. Don’t be surprised too if Trump actually ends up meeting with Kim Jong Un at Panmunjom and reaching some kind of arrangement with him (perhaps the “freeze for freeze” deal Putin has been pushing). Such a shocker scenario might mean that the globalists are delaying the conflict till next Spring so they can retry the plan they’d set up for this year, and it would help build Putin’s “Prince of Peace” credentials. I recommend against believing in all the natural disaster hype that’s flying around right now, especially the Cumbre Vieja scenario. Just have a look at the size of the CV compared to the size of the East Coast. It is physically impossible for such a small landmass moving at landslide speed to displace enough water to swamp such a huge landmass an entire ocean away. It would be like dropping a marble into one end of an Olympic-size swimming pool and expecting a five foot tidal wave to crash over the other end. There’s just not enough volume or kinetic energy to do the job. That being said, could they unstick the San Andreas fault with a few well-placed, drilled-in H-bombs? That’s more conceivable. Destroying San Fran and LA (Sodom and Gomorrah) by earthquakes would fit right in with their prophecy fulfillment plans. Since the globalists are attempting to simulate the “End Times,” the cities they might wholly or partially destroy as part of the show would be ones that are identified with “Satanic activity” (and are therefore subject to “god’s judgment”). On the West Coast, Los Angeles (home of “Satanic” Hollywood), San Francisco (modern Sodom), and Las Vegas (Sin City) are potential targets. On the East Coast, New York (home of the “House of Mammon,” Wall Street) and Washington, DC (home of the “Great Satan,” the US government) are at risk. LA and San Fran would likely be targeted with earthquakes, while Las Vegas would likely have its water supply (Lake Mead) drained, possibly through destruction of the Hoover Dam. Having Vegas die of thirst is a fitting end for a city known for gambling and greed, or so the religious types would tell you. New York and Washington, DC would likely be nuked (supposedly by North Korea or “post-Incirlik” Turkey), with a Houston-style monster hurricane being the backup plan. We’ll just have to wait and see how “Old Testament” they decide to get with their silly little stage play. I’ve started research on an entry titled How the Kabbalist Jews took over the Eastern Orthodox Church through the Communist Revolution. But since Trump’s Asia trip starts next Friday, I won’t release it until after the November 7-11 threat window has passed. The delay should give me time to complete it before publishing it, which would be quite a feat for me. Starting tomorrow, I also begin work on an “executive summary” of the globalist agenda I call the “Standard Deterrence Package” or the “Red Pill.” It will be added to the bottom of all future alert entries and entries about dangerous time windows. So if the globalists ever decide to pull the trigger on something I warn about and the warning entry goes viral, it will carry red pill information to every reader who is still entranced by the East versus West End Times show. I’ve been informally adding such information since the Great EU-Greece Showdown of 2015, but preparing a standard information package will save time for both me and longtime readers (who can disregard it because they’ve already seen the information). With that being said, I now turn my attention to the pot pies I’m cooking. 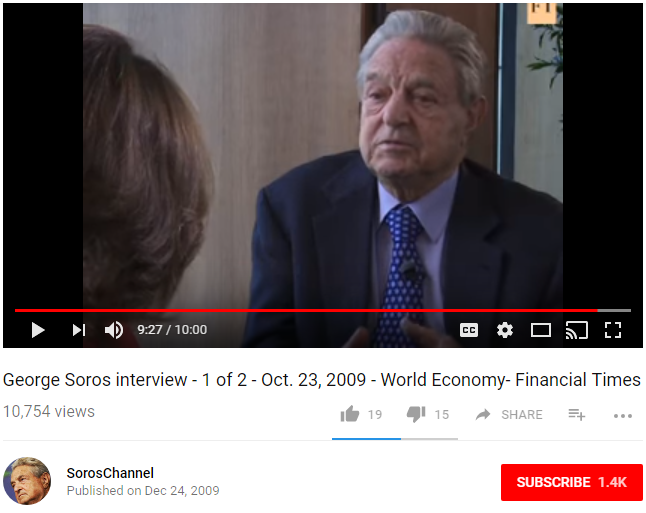 This entry was posted in Globalist Agenda Watch 2017 on October 27, 2017 by kenneth. And as one would expect, Prospect for America offers a glimpse of what Gorbachev and Bush’s New World Order will look like. Tomorrow, the 22nd, is a risky day for false-flags. Both the Jesuit Order and communism were/are fronts organized and funded by the Kabbalist Jewish banksters. The Jesuit Order was the mechanism used to infiltrate and subvert the Roman Catholic Church, and communism (which is euphemistically called “progressivism” in America) was used to infiltrate and subvert non-Jewish political structures (and the Eastern Orthodox Church). As traditional Catholics, the Kennedys were the only family with the power to pose a threat to both the Jesuit takeover of the Church and the Communist/Progressive takeover of the government, so the Jews took action. We all saw what the Kabbalist-controlled CIA did to the Kennedy boys, and we all know what the Jew-controlled media and the bankster-controlled Senate did to McCarty. In fact, the man who introduced the motion to censure McCarthy in the Senate, Ralph Edward Flanders, was president of the Boston Federal Reserve Bank immediately prior to being elected to the Senate. In our Rockefeller-commissioned school curricula, we were taught to think of the Kennedys in terms of “Camelot,” and not in terms of their fight against the International Jews. And we were programmed to see McCarthy as a witch-hunting zealot who was chasing ghosts. But decades later, we can now see that he was quite right about Hollywood being a tool of communist subversion, can’t we? They have laid waste to American culture, leaving only a degrading psywar structure in its place. But this is not a tale of good versus evil; it is a tale of Catholic/capitalist elite monsters versus Jewish/communist elite monsters. And since the Jewish elite monsters were victorious, they now control both sides of the fight. There is no way out of their control as long as we look to existing government and economic structures with thoughts of somehow “reforming” them. We have to build something new. As for the Jews, don’t waste time hating them. They are spirit wearing flesh suits just like you and me, and just like you and me, they’re meat for the Kabbalist grinder. Now that the Kabbalists have control of the vast horde of Christians, they no longer have need for a small tribe to hide behind. That being the case, the Tribe has been marked for slaughter, and they’ll die at the hands of their own elite (just like the last time). It’s kinda hard to succeed when your chief counsel is spying on you and steering you into blind alleys, isn’t it? One only wonders “what could have been” if RFK had been beside him instead. Roy Cohn also had a connection to Donald Trump. I was mildly surprised that nothing happened in Korea yesterday, but we’ve got a week of the Chinese Communist Party Congress to go yet. The next dates to watch are the 22nd (a globalist favorite) and the day Xi is to be reelected (whenever that is). I’ll go into more detail on this and the new “petroyuan” (which is being introduced while we’re all distracted by potential war and Hollywood drama) once we get past this current stretch of time. “In a statement the US 7th Fleet said the USS Ronald Reagan aircraft carrier and two US destroyers would take part in the drill alongside South Korean Navy vessels. So the naval exercise will cover the entire duration of the Chinese Communist Party Congress, which takes place from October 18 to 25. Will the US aircraft carrier be in the Yellow Sea when Kim fires off the SCUDS? Will he target it? Will one of the missiles be nuke-tipped? This is going to be an exceptionally hazardous week in both Asia and the Middle East. On a side note, have a look at the VERY fancy write-up the BBC did on Xi Jinping in advance of the Party Congress. As I looked through it, an old saying came to mind: “The bigger they are, the harder they fall.” Xi’s fall will be spectacular, and it looks like it might begin this week. …the Chinese won’t be the only ones chastened by a South China Sea conflict. Although the clash would end in a victory or favorable draw for the US side, America would likely suffer a serious bloody nose. 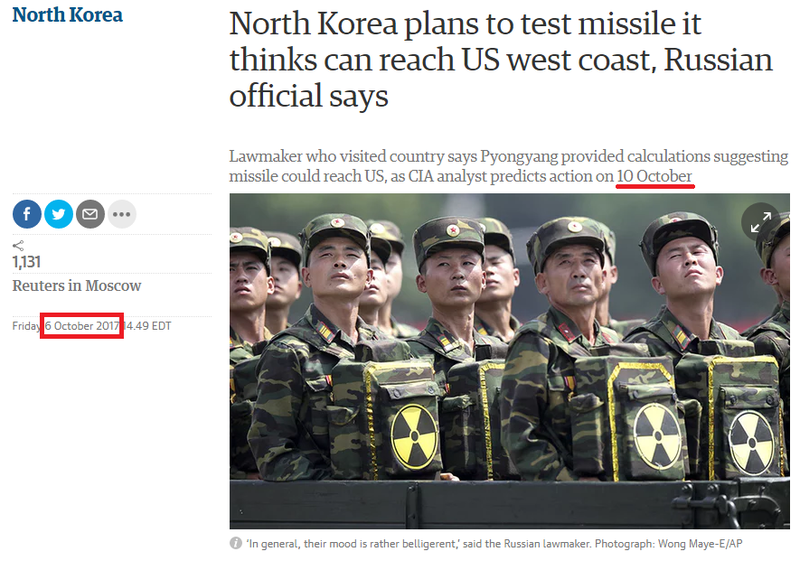 Considering all the media attention given to the nuclear threat supposedly posed by the North Koreans, this bloody nose could take the form of a nuke going off somewhere – either in a US territory or a US military base – but the most likely scenario is that the globalists will script the destruction of the USS Carl Vinson (either through conventional or nuclear means). If you substitute the Yellow Sea / Sea of Japan for the South China Sea and the USS Ronald Reagan for the Carl Vinson, the same basic globalist strategy applies: get a chastened America to withdraw from being “the world’s policeman” so the “reformed” United Nations (the NWO) can do the job. 1) The US preemptively strikes the ICBMs/IRBMs intended for Guam (possibly using the stealth fighters based at Seoul Air Base) citing the North Korean threats to target Guam and explode a hydrogen bomb over the Pacific. 2) China responds militarily, and North Korea possibly triggers decapitation sneak attacks on New York and Washington, DC. 3) China gets humiliated by the outcome of the engagement and the US loses an aircraft carrier (and possibly parts of two cities). 4) With both China and the US stinging from the result, Xi and Trump get the ax (if Trump isn’t already dead from the North Korean sneak attack). …I was noodling last night over what the globalists could do in such a short period of time to justify Xi’s departure from leadership. I concluded that they’d have to hit him with a double-barreled shotgun blast: 1) a catastrophic loss of face on the international stage and 2) a major ethics scandal at home. To provide the international loss of face, having Kim Jong Un detonate a hydrogen bomb off the coast of China would be a start. Following it up with a quick, catastrophic Chinese military engagement would be a nice finish. Since then, I’ve been wondering how Xi would get into the catastrophic military engagement. The preemptive strike hinted at by the presence of the US stealth fighters provides the answer. 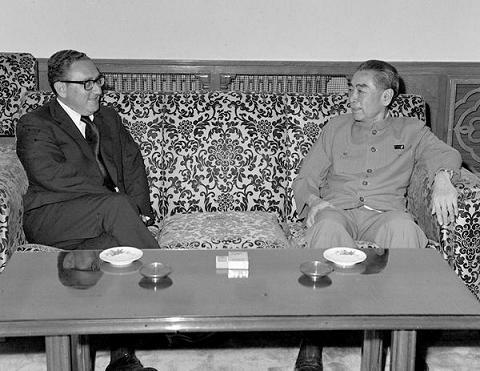 Whatever he does to respond to it militarily, the US-South Korean forces will stomp on it. So with the North Koreans effectively confirming that diplomacy is dead, the only way for Trump to “stop Washington (DC) from becoming a target” is to use force. The door to preemption has been flung wide open. All this could start at any time from now through the 25th, but the general expectation is that Kim will fire the missile salvos on Wednesday morning (Korea/China time) as the Chinese Communist Party Congress opens. So a preemptive strike on Tuesday night Korean time / Tuesday day US time is a high probability outcome. Keep an eye on the news tomorrow. Is her death part of the dramatic foreplay that will lead to the release of the Xi Papers? Will her death trigger a dead man’s switch, releasing previously held-back documents? 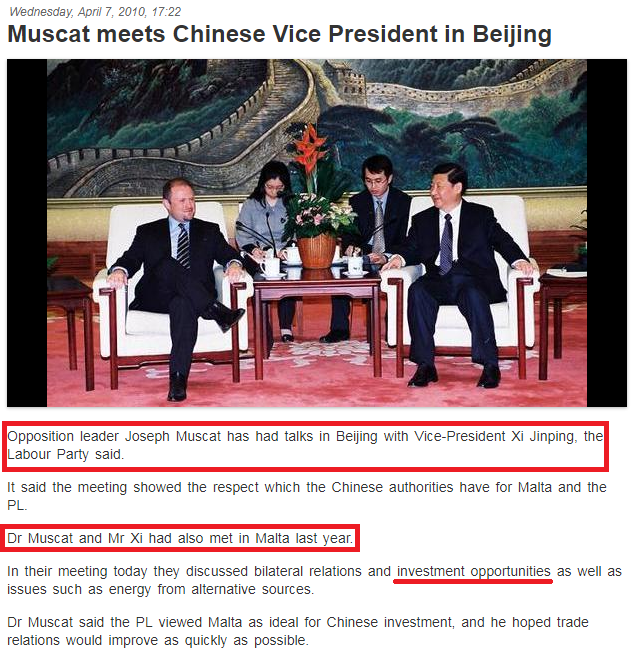 So there is a longstanding connection between Xi and Muscat that started before they both reached the top. 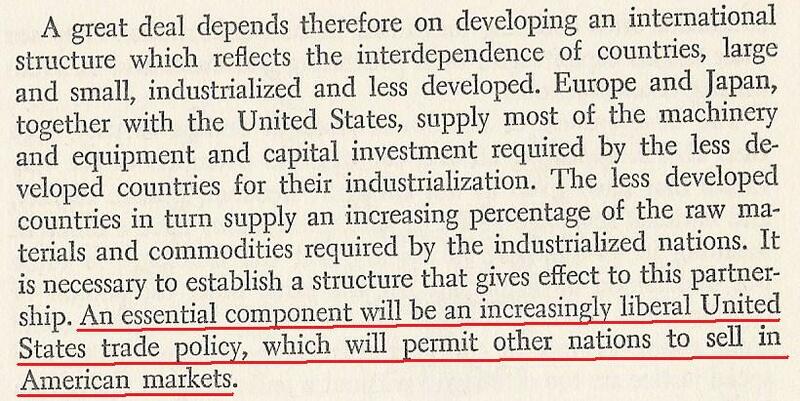 Just what sort of “investment opportunities” did they discuss back then? 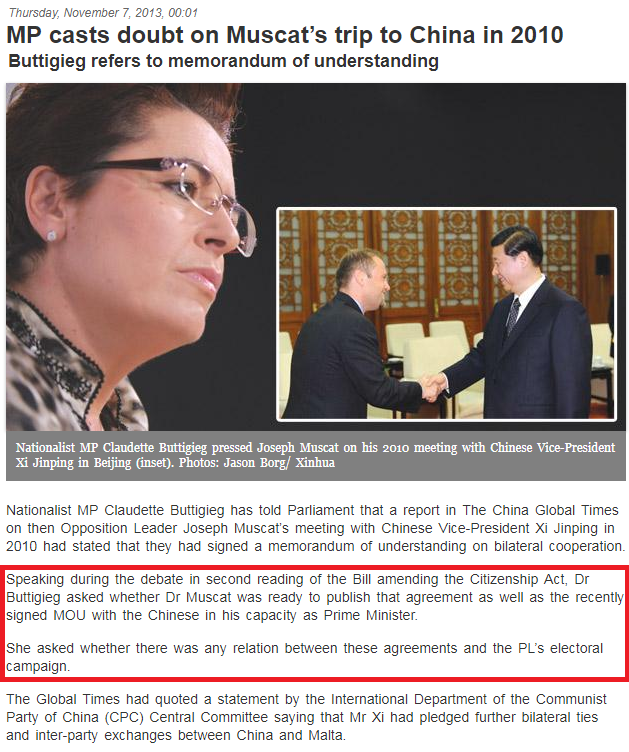 Did Xi hide some money in Malta via his brother-in-law or another family member / friend? Did the slain journalist stumble across it? When the New World Order rollout occurs, this “grand communist infiltration and subversion of the West” is scripted to be exposed and defeated by the “right-wing” Austrian Economist / “patriot” types. This is another reason the globalists are sacrificing Xi: they want to move China past communism and break it into “smaller units.” Li Keqiang will serve as the Chinese Gorbachev who facilitates the process. And getting back to Malta, if Xi helped Muscat take control there, Muscat would have been more than happy to help Xi with his money stashing. 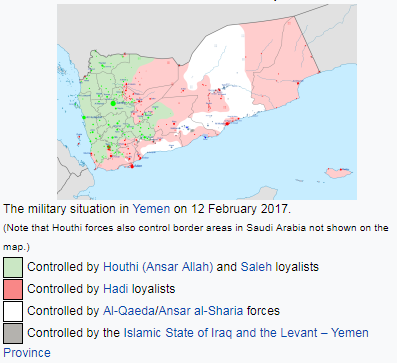 LAUNCH PHASE: The Saudis would fire ground-launched cruise missiles from Houthi territory in western Yemen or southwestern Saudi Arabia (the Houthis are on both sides of the border). 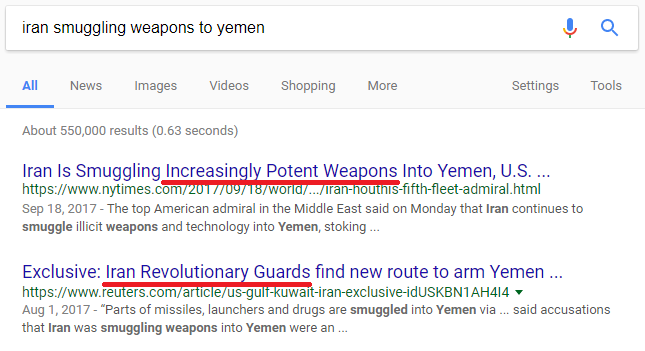 Or, if they wanted to do the op sloppily, they’d fire air-launched KH-55s from Saudi aircraft overflying Houthi territory. The Soviet KH-55 is the missile from which the Soumar was derived, so the wreckage would look quite similar. Alternatively, if they wanted to be totally sure the attack is successful, the Saudis would host one or more Israeli Joint Strike Fighters that could drop stand-off precision munitions on Al Udeid. The US military could then pull cruise missile wreckage from out of a box stored on base and show it to the press. IN-FLIGHT PHASE: If the attack uses cruise missiles, they would be programmed to fly a convoluted radar-avoiding path over Saudi territory. The Saudis know the gaps in their own defenses better than anyone, and they’d make sure the “right operators” were watching the screens in areas where their radar would detect the missiles. The operators would have scripts to follow in either failing to notice the radar contacts or misidentifying them as something other than cruise missiles. 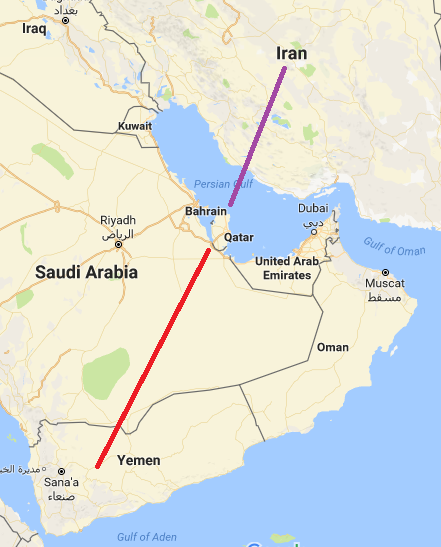 TERMINAL PHASE: If the attack uses cruise missiles, Al Udeid’s radars and AWACS would not detect them until they were in eastern Saudi airspace, and the missiles would likely be following a leisurely flight path that isn’t directly aimed at Qatar or the base. 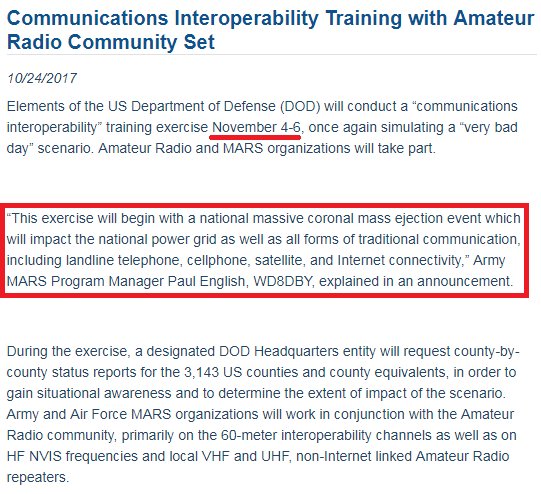 The natural assumption of the US radar operators would be that they’re Saudi military aircraft on a training sortie. By the time they’d find out they’re not, it would be too late. The missiles would abruptly turn towards the base when they’re near the border, and they’d drop to minimum altitude for the strike. You can be fairly sure that most of the air defense assets and most of the attention at Al Udeid are oriented towards the Persian Gulf and Iran. They wouldn’t expect an airstrike from the secure Saudi Arabian airspace behind them. Even though the Saudis wanted to strike Qatar weeks ago, the US Air Force would assume that they’d never strike an American base, so they just wouldn’t be worried about threats coming from behind. Or that’s what the narrative would say at least. I think I’ve covered this scenario adequately now. Do you see how well it fits in with everything that’s going on over there? Hopefully, this alert will prevent them from using it. The first shoe to drop in the planned Xi corruption scandal was the Mossack Fonseca Papers (a.k.a. the Panama Papers), which implicated Xi’s brother-in-law in shady international dealings. This is significant because it is common practice for politicians to have their bribes, kickbacks and extorted money given to family members and trusted friends who then hold it for them. 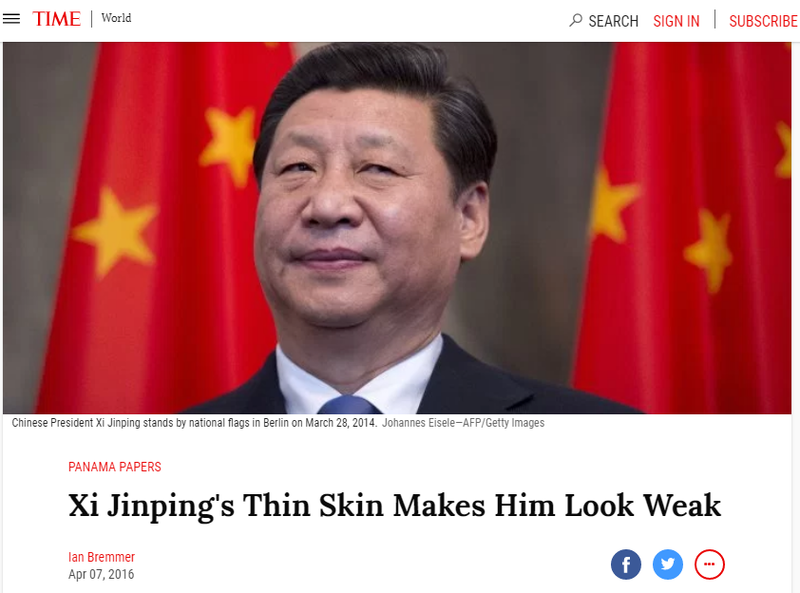 When the next shoe drops, we will see a very detailed release on all of Xi’s money holders and all of their stashes of wealth. The data dump will include information that can be quickly and easily verified to ensure that the public accepts it as true. As for who will release the “Xi Papers,” it could be attributed to the standard intelligence agency fronts (Wikileaks, Anonymous, etc.) or to hacking brigades employed by Kim Jong Un or Xi’s domestic opponents. But the release will actually come from the globalists themselves. They watch their minions just as closely as they watch their enemies, and they know where all the bodies are buried and the money is stashed. So when the time comes that a powerful minion must be sacrificed in the grand chess game, they often release information from that minion’s blackmail file to ensure that he/she doesn’t get any illusions about trying to hang on to power. If you are curious as to why the globalists will sacrifice Xi and promote Li Keqiang, it’s all about having China show a friendly and cooperative new face as the New World Order is unveiled. 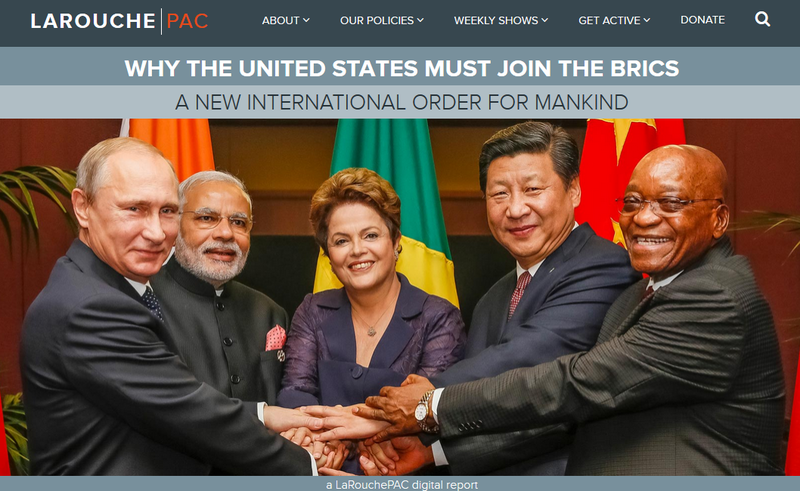 I first wrote about their plans back in January of this year: Globalist Agenda Watch 2017: Update 1 – The globalists will take down China’s Xi this year. Xi is known as a nationalistic leader (like Trump) who is prone to taking unilateral action (as China has done in the South China Sea). 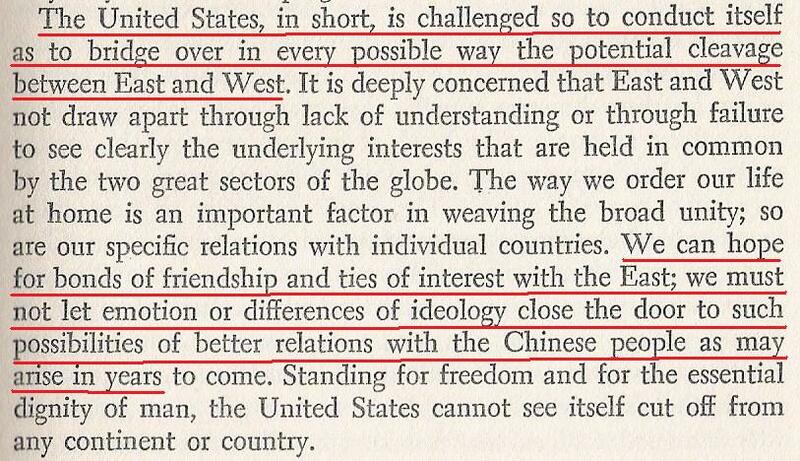 So the globalists want to make a show of depopularizing “rabid nationalistic unilateralists” like Xi and Trump and raising up “reasonable nationalistic multilateralists” like Li Keqiang and Rand Paul. When the New World Order is unveiled, it is meant to look like the solution to all our current problems, not another problem we need to overcome. 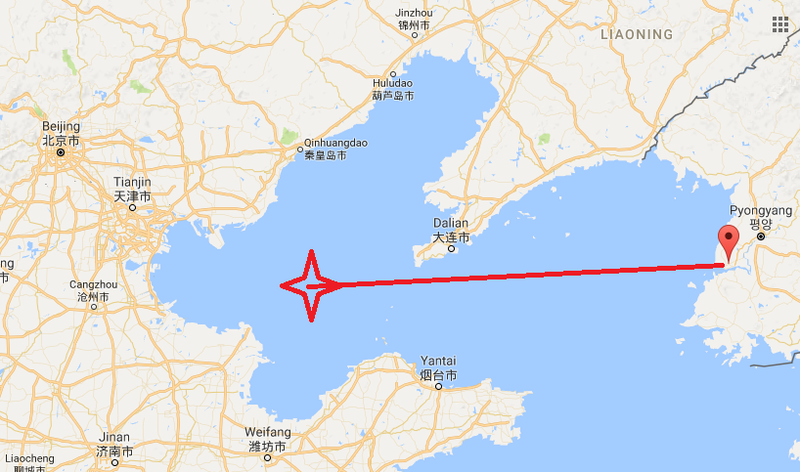 [Update 3 – 13 October 2017] – Will a nuclear SCUD explode off China? By hiding the nuke amidst a 30-missile salvo, the odds of it being shot down by China’s anti-ballistic missile systems are quite low. Of course, we could also see a scenario that involves a simultaneous SCUD missile salvo near China and ICBM salvo near Guam. Nukes could be included amidst one or both salvos. It’s a commonplace occurrence for North Korea to fire short-range missiles into the sea, but it’s not at all ordinary for one of them to explode in a nuclear mushroom cloud. Such a move would get the attention of every single person in China, and all eyes would turn to Xi. How did he let the North Korean situation come to this? Why did he cave in to American pressure and isolate an ally when Putin stepped up to support that ally? 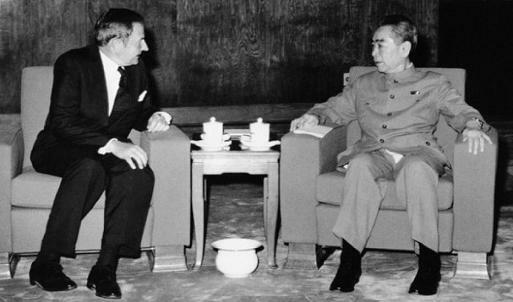 Did he do it to selfishly avoid trouble in advance of a Party Congress where he expected to consolidate power? You can see how things could begin to go south for Xi after such an occurrence. Does this mean that Friday the 13th has been abandoned as a potential strike date, or do they want the provocation and the strike to occur on the same day? More likely it’s the former. But I will not stop my overwatch of the situation tomorrow. Since the Chinese Communist Party Congress will start on the 18th and continue for a week, I’ll keep going until it’s over. If the globalists miss the opportunity to replace Xi with Li Keqiang at the Congress, it will be a satisfying frustration of their efforts. Speaking of this replacement, I was noodling last night over what the globalists could do in such a short period of time to justify Xi’s departure from leadership. I concluded that they’d have to hit him with a double-barreled shotgun blast: 1) a catastrophic loss of face on the international stage and 2) a major ethics scandal at home. To provide the major domestic scandal, a credible charge of gross corruption would do nicely. The easiest way to achieve this would be a detailed online data dump on his secret financial holdings. After running so many other Party officials out of office on corruption charges, such a revelation would make him look like a huge crook and hypocrite. Will the Party Congress allow a crook who has humiliated China on the global stage to lead the nation? “Since Trump refused to allow the Pentagon to attack Russia and its allies in Syria, the Deep State decided to trick him into war. 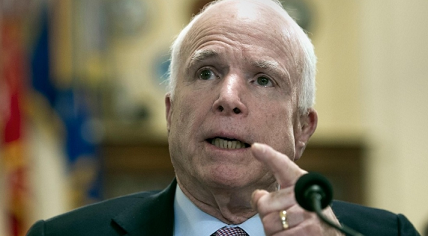 They convinced him to take the seemingly low-risk actions of decertifying the nuclear deal and declaring the Revolutionary Guard as terrorists in order to put pressure on the Iranian ballistic missile program. He was told that these measures wouldn’t cause any real harm because Congress wouldn’t pass new sanctions. The speech on Iran is supposed to happen tomorrow, so let’s see if they have the balls to go through with it. If they do, keep an eye on Ukraine also. They’ll probably launch an offensive “to retake Crimea” once the US and Russia go head-to-head in Syria. And if the globalists hope to fulfill their goal of replacing Xi Jinping at the Chinese Communist Party Congress next week, something dramatic will have to happen in the North Korea / South China Sea area too. Will we go from zero-to-sh*tstorm in the next few days, or will they retreat yet again? 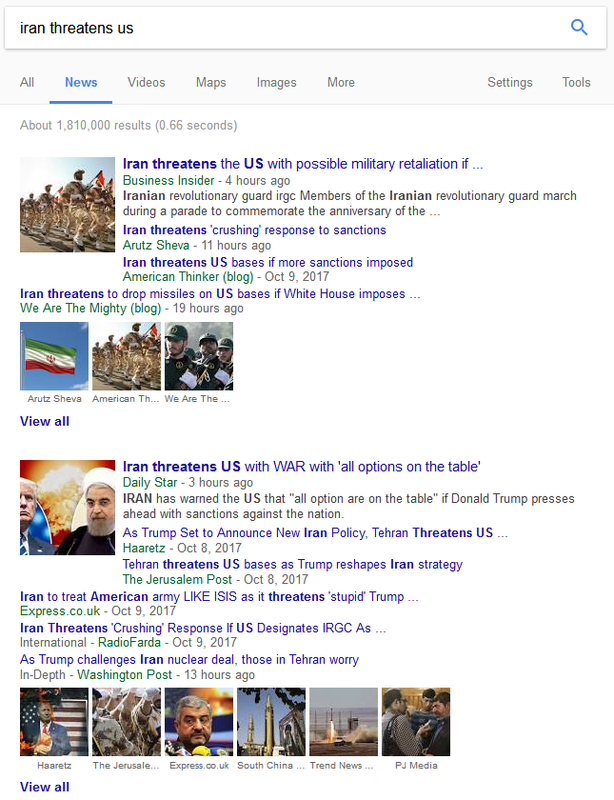 1) Have the “neocon-neolib-zionist deep state” pressure Trump into decertifying the Iran nuclear deal and declaring the Iranian Revolutionary Guard a terrorist group. This is currently scheduled to happen on Thursday the 12th. 3) Use the war threats as cover for a “deep state” false-flag targeting Americans (to be blamed on Iran). This attack could come as early as Friday the 13th, and it will most likely target American military forces (Gulf of Tonkin-style). Israeli involvement will later be uncovered. 4) Retaliate against the “terror attack” by striking the Iranians, probably with Israeli military support, in Syria and other places. According to the globalist script, which is playing the “good guy” East against the “bad guy” West in order to set up the New World Order, this means the Western/Israeli bad guys plan for Syria and the rest of the Mideast is on life support. So the only way to save it is to move beyond the proxy war and go head-to-head against Syria, Iran and Russia. 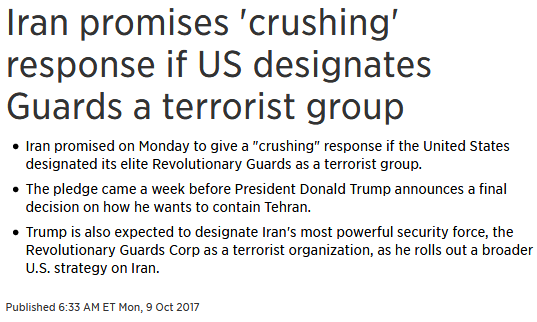 An “Iranian terror attack on Americans” will do nicely to get it started. We must also watch for concurrent escalations vis-a-vis North Korea, so I’ll append my previous entry to the bottom of this one. I will be monitoring the situation from this alert entry for the remainder of the week. Zero Hedge is one of the leading faux-truther / controlled-opposition propaganda sites on the Web. And judging by the elephant walk of NWO propaganda that paraded across their front page yesterday, this could be an eventful week. So with the “deep state’s” involvement in the Las Vegas shooting going viral, with their backing of ISIS threatening to go viral, and with the crossover between the two stories (ISIS’s claim that the attack was one of theirs), the rationale for flipping the script with a new North Korea crisis is established. What we have with all these reports is theater for the masses, and it’s the type of show that can lead into the globalist-planned Washington / New York sneak attack I’ve been warning about. But how will they get it going? On the North Korean side, they supposedly have multiple ICBMs in launch position. So they could either fire off one per day this week, or we could see them fire four at the waters around Guam. And there’s a good chance one of them will be a “full test package” that results in a thermonuclear explosion over the Pacific. This would then trigger Trump’s response and Trump’s response would trigger the sneak attack. On the American side, keep an eye out for Trump to stage a provocation by forcibly boarding and seizing North Korean merchant ships. The recent news about North Korean rocket launchers headed for Egypt may serve as his justification for doing so. See the September 20 postscript (which is near the top) of this entry for more background information on this scenario. The 9th, 11th and 13th are the most dangerous days of this hazardous week. And if you see the UN Security Council calling an “emergency meeting” on North Korea, that’s a good day to get out of Manhattan and Washington, DC. Beyond this teasing of war provocations, a number of other NWO themes were presented yesterday. I’ll cover those as the day goes on. The globalists abandoned their first attempt to start people’s revolutions in the EU back in 2015. They intended to use “the birthplace of democracy,” Greece, as the starting point. The Greeks were meant to defect from the overbearing EU to the “freedom-fighting” BRICS, and that model would have then spread among the EU peripheral states until it destroyed the EU in 2016. Now it appears that they’ve substituted Catalonia for Greece and are trying it again. The people’s revolution that will dismantle the EU is part of the globalists’ broader strategy of breaking large nations into less self-sufficient pieces. Since the smaller nations will lack the capacity to maintain a modern standard of living and a strong national defense on their own, they will become dependent on the globalists’ multilateral institutions for their prosperity and security. You can read more about the globalists’ plans for revolution and smaller units of government in Globalist Agenda Watch 2015: Update 19 – The Greek “People’s Revolution” and the New European Renaissance, brought to you by the NWO. Vladimir Putin is the globalists’ chosen leader of the New World Order system, and they are doing everything possible to set him up as “the Prince of Peace” and “the most geopolitically brilliant statesman of this age.” Read Understanding the NWO Strategy to inoculate yourself against these clumsy attempts to build his cult of personality and narrate a battle between the “evil West” and the “benevolent East.” The “Unipolar World Order” is the globalists’ Left Hand and the “Multipolar World Order” is their Right Hand, and they are using Both Hands to build the NWO. This entry was posted in Globalist Agenda Watch 2017 on October 10, 2017 by kenneth. This entry was posted in Globalist Agenda Watch 2017 on October 8, 2017 by kenneth. 1) I take responsibility to reach out to the neighbors on my street or in my apartment building, and I’ll set up a time and place where we all can meet weekly to discuss our concerns and hopes. Only a few might show up at first, but if I keep notifying everyone of the time and place of the weekly meeting, more will show up when things start getting rough. And at times of real crisis, ALL will likely come. This will be the beginning of my block council. After I set up my block council, I’ll reach out to everyone I know and encourage them to do the same where they live. I’ll also take responsibility to reach out, face-to-face, to the people on the next block until I recruit an organizer who will get their block together. In this way, the community-building will spread. 2) Once block councils form, each one can elect a representative to meet with the representatives of the neighboring block councils. They can then discuss the concerns and hopes of the people on their blocks. Ideas will be shared and consensus will start to form. This will be the beginning of the community council. 3) Once community councils form, each one can elect a representative to meet with the representatives of the neighboring community councils. They can then discuss the concerns and hopes of the people of their communities. Ideas will be shared and consensus will start to form. This will be the beginning of the local council. 4) Once local councils form, each one can elect a representative to meet with the representatives of the neighboring local councils. They can then discuss the concerns and hopes of the people of their localities. Ideas will be shared and consensus will start to form. This will be the beginning of the area council. 5) Once area councils form, each one can elect a representative to meet with the representatives of the neighboring area councils. They can then discuss the concerns and hopes of the people of their areas. Ideas will be shared and consensus will start to form. This will be the beginning of the regional council. 6) Once regional councils form, each one can elect a representative to meet with the representatives of the other regional councils. They can then discuss the concerns and hopes of the people of their regions. Ideas will be shared and consensus will start to form. This will be the beginning of the global council. 7) Forming a global council. And each council at each level would need no more than 70 people, and this allows everyone at each level to know each other well. It also allows the voice of every single person to truly matter. As I expand and enhance this article, I’ll explain the very simple rules that would make this system work, and I’ll go into the many benefits it offers. I call this system of government “fractal democracy,” and it is based on the concepts of personal human relationships, anti-hierarchy, decentralization of power, and self-organizing collectivization. It is a way that humanity can cooperate and unite on a global level without the need for artificial states or a troublesome ruling elite. It’s also as simple as the boogers in your nose, and it has to be that simple in order for people to actually understand it and do it. This entry was posted in Solutions on October 7, 2017 by kenneth. 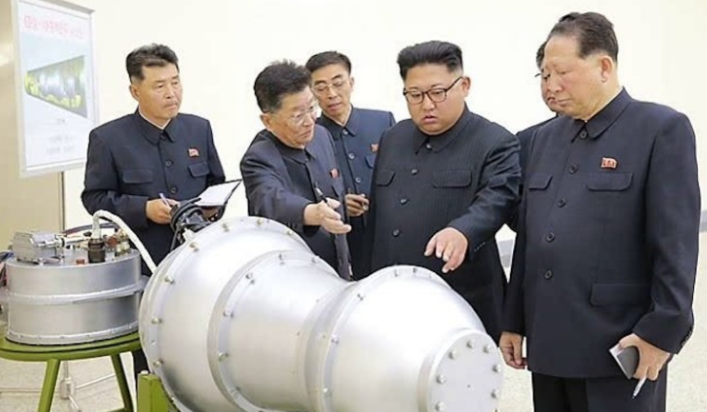 While everyone was distracted by the NFL shenanigans and the fireworks show in Vegas, North Korea has reportedly moved multiple ICBMs into firing position. So we could see the globalists restart the war provocation spiral at any time, and the Vegas shooting could potentially play into it. Regardless of whether the Las Vegas shooting was real or crisis-acted, it’s quite predictable where they’re going with it. The controlled alt-media will claim it is yet another mass shooting orchestrated by the neoliberals of the “deep state” to push through gun control measures, and it will be interesting to see how far the globalists allow them to go in picking apart the official story. So one scripted fireworks show could lead to a much larger one. Friday the 13th is just 9 days away. This entry was posted in Globalist Agenda Watch 2017 on October 4, 2017 by kenneth.